This summer Stony Point Battlefield will offer a history program for children entering 5th and 6th grade in the fall of 2012. Each session will take place on three consecutive weeks on a Wednesday, Thursday, and Friday. The program will repeat each week. The 3-day sessions will include interactive lessons that teach children about the colonial times, the American Revolution, and 19th century lighthouses. Children will enjoy hands-on learning and participate in exciting outdoor recreational activities. Campers can take part in 18th century fire making and cooking, secret message deciphering using quill pens and ink, and interactive demonstrations of 18th century medicine, clothing, and blacksmithing. Projects include making musket balls, 18th century food, candles, and lanterns. This program focuses on creating a fun and relaxed atmosphere for children to learn about history. For more information, please call: 845 786-2521. Stony Point Battlefield Historic will commemorate the 232rd anniversary of American Brigadier General Anthony Wayne leading a daring nighttime assault on the British garrison of Stony Point on Saturday and Sunday, July 16th and 17th, from 11 am to 4 pm. The event will include an 18th century soldiers encampment and a free Saturday night Evening Battlefield Walking Tour at 8 pm. There is a $5 parking fee for Saturday and Sunday’s events, the Saturday evening tour parking is free. The site is located at 44 Battlefield Road, off Park Road on 9W in Stony Point, NY. For more information call 845-786-2521. The Battle of Stony Point, one of the last Revolutionary War battles in the northeastern colonies was where Brigadier General Anthony Wayne led his corps of Continental Light Infantry in a daring midnight attack on the British, seizing the site’s fortifications and taking the soldiers and camp followers at the British garrison as prisoners on July 16, 1779. Join costumed staff and visiting reenactors for a family program of music, games and story telling on Friday, July 15, 2011 at 7:00 PM. Performers Tom Hanford and Nancy Finlay will draw guests into the convivial world of an 18th century tavern, and host John Muller will share his expertise of the period at this unique event. Light period refreshments will be served. Note: No alcohol will be served. Advanced reservations required. Please call the museum office at 845-786-2521 for reservations and further information. 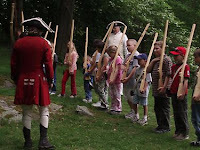 Adults $15, Seniors and Children $12.The historic site is located at 44 Battlefield Rd., accessed from Park Rd. off Route 9W in Stony Point. The site features a museum, which offers exhibits on the battle and the Stony Point Lighthouse, as well as interpretive programs, such as reenactments highlighting 18th century military life, cannon and musket firings, cooking demonstrations, and children’s activities and blacksmith demonstrations. The Stony Point Battlefield State Historic site is located at 44 Battlefield Road, accessed from Park Road, off Route 9W in Stony Point. For more information and directions and to reserve your spot, call the site office at 845-786-2521. Spring Bird Walk with Della and Alan Wells of the Rockland Audubon Society. These experts will lead a walk through the diverse bird habitats found at the Stony Point Battlefield. First time birders welcome, and experienced birders will enjoy exploring the location of a wonderfully accessible birders paradise. Bring binoculars, or borrow an extra pair from the group. This program is free to the public. Site entrance gate will be open from 7:45 a.m. to 8:00 a.m. only to admit Birding Ramblers, so please be on time. No parking fee for this early bird special! Friends of the Stony Point Battlefield & Lighthouse present an evening lecture and slide show on the history of lighthouses along the Hudson River, followed by a lantern tour of the oldest lighthouse on the Hudson River. Reservations required for this program, due to space considerations, call the museum. Please bring a flashlight and bug spray. Admission $4.00 adults, $3.00 seniors and children 10 to 18 years. Program not appropriate for children younger than age 10. This program will be offered on a TBD Saturday in June, July, and August. Join the Friends of the Stony Point Battlefield & Lighthouse, the site staff and visiting reenactors to celebrate the site’s anniversary weekend at the first annual Tavern Night. Get ready to travel into the convivial world of an 18th century tavern as performers Tom Hanford and Nancy Finlay lead the night with music and story-telling. 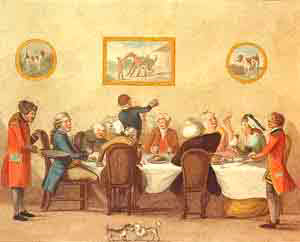 There will be 18th century games to learn and play and light refreshments will be served, including delicious beverages from 18th century recipes created by Tavern Keeper, John Muller. This program offers entertainment for the whole family. NOTE: No alcohol will be served. Admission to this fundraising event is $15.00 for adults and $12.00 for seniors and children. Rain or shine – the event will be held in the picnic pavilion if inclement weather. Saturday evening presentation on Saturday at 8:00 p.m. Watch as American troops advance on the British camp and experience what the soldiers might have felt in a midnight raid. There will be musket, rifle and artillery demonstrations, cooking demonstrations, blacksmithing, along with colonial games and wooden musket drills for children. $5.00 daytime parking fee. Rain or shine. Evening battle program is free. Presented by the Friends of the Stony Point Battlefield & Lighthouse. 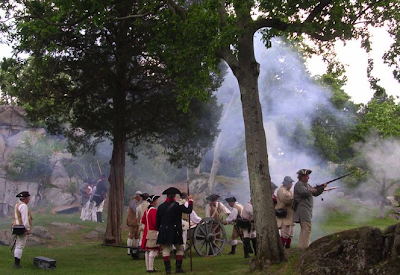 Experience the story of the Storming of Stony Point as you follow in the footsteps of the American Light Infantry soldiers who captured the British fort. Tour the historic grounds with a guide by lantern light as the battle unfolds around you. Reservations required for this program, call the museum. Please bring a flashlight and bug spray. Admission $4.00 adults, $3.00 seniors and children 10 and older. Program not appropriate for children younger than age 10. Hudson River Birding Ramble with Della and Alan Wells of the Rockland Audubon Society. These experts will lead a walk through the diverse bird habitats found at the Stony Point Battlefield. First time birders welcome, and experienced birders will enjoy exploring the location of a wonderfully accessible birders paradise. Bring binoculars, or borrow an extra pair from the group. This program is free to the public. Site entrance gate will be open from 7:45 a.m. to 8:00 a.m. only to admit Birding Ramblers, so please be on time. No parking fee for this early bird special! Enjoy a guided walk to the Lighthouse at 1 PM or a guided tour through the Battlefield at 2 PM- followed by the site’s artillery demonstration at 3 PM. This program is free to the public. Michael Hagen, Horticulturalist and 18th century reenactor, will give a tour of the new soldier’s scratch garden at the Battlefield’s living history camp area. Come and learn about planning, planting and growing food in an 18th century military camp. The garden is brimming with plants and our camp cook will prepare recipes from the period. This program is free to the public. 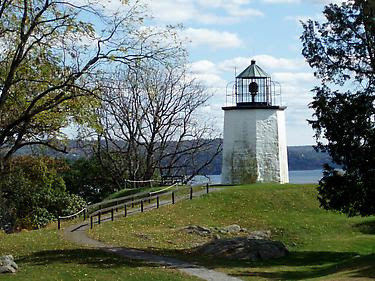 Celebrate the history of lighthouses on the Hudson River and their important connection to the maritime economy of New York State in the 19th century. Tours of the lighthouse will be given throughout the day along with talks on the history of lighthouses, the history of the economic importance of the maritime trade on the river, artists interpretation of Hudson River lights. 19th century maritime music and storytelling will be performed by Balladeer, Linda Russell and Storyteller Jonathan Kruk throughout the afternoon. A family arts and crafts area featuring lighthouse projects will be available. Spend an evening aboard the historic vessel Commander enjoying a two hour Cruise along the Hudson. While on-board, discover the fascinating history surrounding Haverstraw Bay, the Lower Highlands, Lighthouses along the Hudson and the Stony Point Lighthouse as told by local history narrator, Scott Craven. Enjoy spectacular views of the illuminated Stony Point Lighthouse as we sail along the river. The cruise departs Haverstraw Marina at approximately 5:00 p.m. Presented by Friends of Stony Point Battlefield and Lighthouse and Hudson Highlands Cruises, Inc. By advanced reservation, please contact the museum. Admission: $30 Adults, $25 Seniors (62+), and $15 Children (5-12).